Should first-time buyers take mortgage payment holidays? Want time off from paying your mortgage? Yorkshire Building Society’s new two-year fixed-rate deal can give you just that. But is it a wise idea? 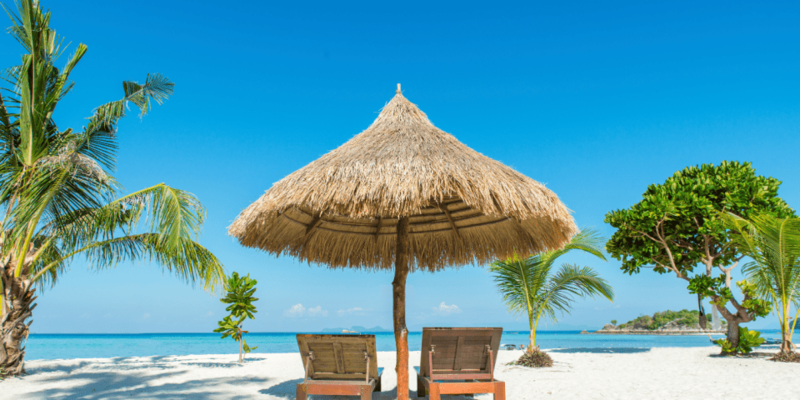 Mortgage payment holidays – lender-approved breaks from making repayments – may sound attractive, but they might not be as relaxing as a trip to the beach. Some 29% of all mortgage deals allow payment holidays, according to our analysis of data from Moneyfacts. For first-time buyers, that figure is even lower, at 19%. This new deal from Yorkshire Building Society (YBS) is available to anyone with 10% deposit, first-time buyers included. As well as mortgage holidays, it allows you to underpay your mortgage in certain circumstances. Here, we explain how mortgage payment holidays work, how the new deal from YBS compares and what you should consider before you pack for a mortgage vacation. To find out if mortgage payment holidays could work for you, call Which? Mortgage Advisers on 0800 197 8461 or fill out the form at the end of the page and they’ll call you. How do mortgage payment holidays work? If you’ve spent years saving diligently for your deposit, a mortgage that allows you to skip payments may sound like a relief. But most lenders that do allow payment holidays will only grant them if you meet certain criteria. With the new YBS mortgage, payment holidays and underpayments are only allowed if you make equivalent overpayments first. Say you normally pay £200 a month for your mortgage. If you overpay £10 a month for 20 months, you’ll be £200 in credit. This will allow you to take one month off from paying. Similarly, if you overpay by £100 one month, you could underpay by £100 the next month. Rather than paid annual leave, this is more like working overtime for time off in lieu. YBS told us that it offers payment holidays to give homeowners enhanced flexibility in how they make their payments. If you overpay before the run up to Christmas, for example, you could take a payment holiday in order to spend more on presents and socialising. The building society also advises that once overpayments have been made, they can’t be claimed back, so homeowners should plan carefully for their circumstances. YBS new payment holiday mortgage: how does it compare? With an initial rate of 1.84%, the YBS new mortgage compares favourably with other first-time buyer deals that offer payment holidays. The only deal that beats it on initial rate is another product from YBS, which has a lower 1.79% initial rate and many of the same features. The more expensive deal, however, includes a free valuation and £500 cashback included, along with a lower fee. The new mortgage is also a competitive first-time buyer deal overall, regardless of whether payment holidays are offered or not, as the table below shows. In terms of how accessible its payment holidays are, YBS is not that unusual in requiring overpayments first. However, there are first-time buyer mortgages out there that allow payment holidays based on other criteria. Coventry Building Society says it takes ‘a number of factors’ into account before granting payment holidays, including a mortgage’s loan value and the date it was taken out. Halifax grants payment holidays based on a range of criteria, including that mortgage payments, are up to date and that you haven’t had a payment holiday in the last three years. Should first-time buyers take payment holidays? Taking some time away from paying your mortgage does have its downsides. Since these holidays involve skipping repayments, there is potential for a negative impact on your credit score. We spoke to the UK’s three biggest credit scoring companies – Equifax, Experian, and TransUnion (formerly Callcredit) – and they all expressed that payment holidays shouldn’t be a problem, as long as your original mortgage agreement allows for them. If you take a payment holiday by special arrangement, however, it could cause issues. It’s not just your credit score that could take a hit from a payment holiday – conversely, your wallet could, too. Since you won’t be reducing your loan balance each month, interest will build up faster than it would have otherwise. There might be ways for you to lower your mortgage payments with less risk. When you’re initial rate period is over, for example, it’s wise to remortgage to a cheaper deal. Since you will have built up equity, you will likely be able to secure lower monthly repayments without needing to rely on holidays. If you’re considering a mortgage plan that allows payment holidays, Which? Mortgage Advisers can offer impartial advice. Call them now on 0800 197 8461 or fill in the form below for a free callback.